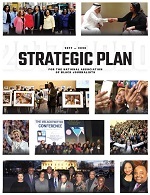 An advocacy group established in 1975 in Washington, D.C., the National Association of Black Journalists (NABJ) is the largest organization for journalists of color in the nation, and provides career development as well as educational and other support to its members worldwide. Please click HERE for detailed benefits. If you have any questions or need assistance, contact the national office. 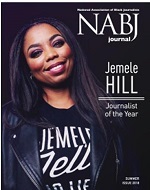 Click HERE to download the NABJ Membership Form. Any person whose principal livelihood comes from creating, producing or supervising the creation of journalism. Professional members can take advantage of dues savings by renewing their membership in two- or five-year intervals. Renew for two years and pay only $180 (a savings of $20) or for five years and pay $450 (a savings of $50). Same as professional-member eligibility plus additional benefits to include VIP express registration at the NABJ Annual Convention and Career Fair, a special invitation to the President's reception at the annual convention, acknowledgment in the convention program book and on NABJ's Web site and other publications, a premium member lapel pin, and a special gift. Life membership includes complimentary yearly convention registration, VIP registration, VIP seating, exclusive invites, Exclusive NABJ Film Festival Event Tickets, acknowledgment in convention program book, NABJ Journal and Web site, a lapel pin, a certificate, discounts to NABJ programs, and 5% Discount on Merchandise. Any person in the first five years of his or her journalism career, whose principal livelihood comes from creating, producing or supervising the creation of journalism. Any person who had been a professional or academic member of NABJ for not less than 25 years, and who has either retired or otherwise no longer works within journalism or academia. Any high school, college and university faculty and other academic professionals, including administrators and trainers, with research and or teaching interests in journalism. Any person who works primarily in a field related to journalism – such as public relations, public information, marketing, communications, advocacy, legal, etc. – and whose work supports the mission of NABJ. Any high school, college or university students – including undergraduate, graduate and associate degree students – who have a demonstrated interest in journalism. Picture of current student ID upload required. Attention: Promo codes must be entered during checkout to receive the discounted rates. No adjustments or refunds will be honored. IMPORTANT: Review the memberships above carefully before selecting the appropriate type below.